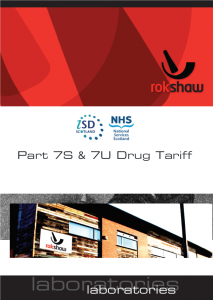 Rokshaw Laboratories manufacture and supply a full range of Specials listed on the Part VIIIB of the English Drug Tariff and Part 7S and 7U of the Scottish Drug Tariff. Our pricing structure for Drug Tariff lines, allows for an ethical earning opportunity for Pharmacies across the UK without compromising on product quality and service. To help with endorsing and reducing pharmaceutical waste that is costly to dispose of, we supply our Drug Tariff Specials in the exact volume required for the patient. We also provide our Drug Tariff Specials with specific patient requirements such as flavours and formulations such as sugar free, lactose free and alcohol free on next morning delivery to ensure your scripts continue to come back to your pharmacy. 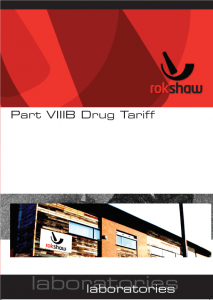 To find out what we can offer your Pharmacy for your Drug Tariff lines, please contact us today!